Innova ceiling track hoist units offer a smooth, supported, simple transfer to every user. Our AirRise range boasts a range of safe working loads, and all units include revolutionary advances such as our Advanced Battery Protection System. Quality, aesthetics, safety, and ease of use – you get it all with our AirRise overhead hoist units. If you’re looking for more information on ceiling track hoists and how they are installed, then take a look at this article. We’ve made a few key improvements to ensure that our AirRise electric hoist units are as smooth and simple as can be. One example of this is the twin trolley. Both sections of the trolley can steer, making it much easier to manoeuvre the hoist unit and glide around tight corners comfortably. It’s also much quieter than a traditional trolley system, and when teamed with our AirGlide360 track, it’s as quiet as a mouse! Our patient lifting hoist units are also equipped with soft-start and soft-stop technology, meaning that there are no jerky movements that could unsettle or cause discomfort to the patient, making the AirRise range a staple item of care home equipment. AirRise patient hoists handsets are easy to understand, and even easier to use. They feature charging lights, on and off buttons, up and down functions, and two tilt buttons for use with the powered spreader bar option. The handset also fits into a magnetic charger point if you would like the unit to be charged through the wall. Alternatively, the AirRise hoist unit can be charged through the track. Simply position the unit under the charging contact, and magnets will lock the charger into place. Our AirRise hoist units are also fitted with advanced diagnostic features, which enables technicians to see useful data (like the total number of lifts the unit has made) at a mere glance. Our clients are given the option of an Innova servicing contract with all AirRise hoist units, keeping them covered for any possible issues. Our servicing and maintenance department can assist with LOLER testing as well as any other necessary annual check-ups. Having worked closely with numerous clients and caregivers over the years, we know how annoying it is when medical hoists have unreliable batteries. That’s why our AirRise models have Battery Protection Software, which helps to keep the batteries in excellent condition and even tells the user when the hoist needs charging! Our clients have noted that this is incredibly beneficial, reducing maintenance costs and improving long-term efficiency. Our range of AirRise spreader bars have proven to be particularly versatile in all care environments. These can be equipped with many slings to suit a variety of patients. 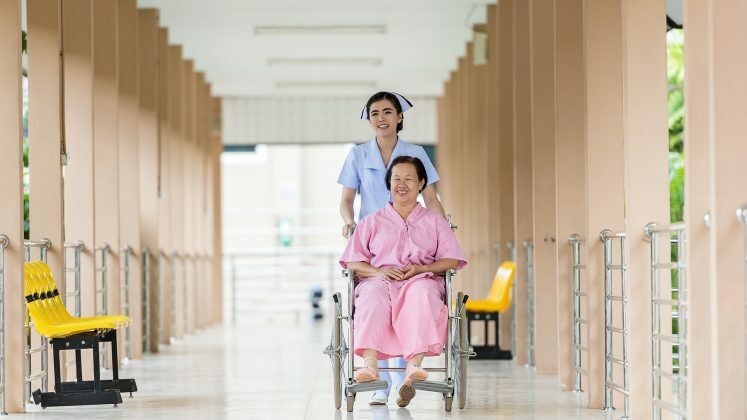 Whether it’s a private home, or the busiest hospital, these spreader bars give a consistently comfortable, reliable transfer for both the patient and the caregiver. 2 Point Loop Spreader Bar: This is the most common configuration, and is incredibly simple and easy to use with loop-fixing slings. Removable padding can be specified for this option. 4 Point Clip-Fixing Manual Spreader Bar: Designed for use with clip-fixing slings, this option features a handle at one end to manually adjust the position of the patient. AirRise Electric 4 Point Spreader Bar: This is the ultimate for hospitals and other care environments who use clip-fixing slings. With built-in tilt adjustment that can be controlled through the handset, the electric yoke movement is smooth and comfortable as can be. A detachable version of the AirRise200 is also available. Named for their weight limits, all of our AirRise mobility hoist units can handle a significant safe working load. This particular unit boasts a 200kg limit, and is one of our most popular models. The compact structure, but robust mechanisms make the AirRise200 a reliable option for hospices, care homes, and hospitals. The AirRise200 is available in two different models – the AirRise200 Detachable and the AirRise200 Fixed. As the name suggests, the AirRise200 Fixed stays attached to the track and can only be removed with tools. The Detachable version can be taken on and off the ceiling track without the need for any tool, making it an ideal portable hoist. The AirRise200 Detachable is adaptable and versatile and can be used on different hoisting systems with ease. As always, safety is a key concern for us, so you’ll be glad to know that the patient lift won’t function unless the hoist is properly attached to the track. It’s rare to find a hoist unit that is neat and compact with the ability to lift up to 260kg, which is precisely why we set about making one. The AirRise260 was our first hoist unit, so we spent a lot of time and energy sourcing out the perfect components that could combine reliability, safety, and excellent aesthetics. We can guarantee that this hoist unit delivers a smoother lift than many other standard units on the market, and can easily handle plus sized clients. Once we had created our first AirRise hoist units, we wanted to go even further. Keeping the aesthetics and sleek design of our other models, we knew that we could come up with another hoist unit that could facilitate heavy working loads without compromising on looks. The AirRise350 was the result, boasting an impressive safe working load of 55 stone! With an incredible weight capacity of 500kg (yes, that’s half a ton or 78 stone), the AirRise500 is one of the most unique hoist units on the market. This electric bariatric hoist is completely in keeping with our other AirRise units – sleek, smart, and compact. Thanks to the twin wheeled trolley and soft-stop technology, it’s also extremely smooth and comfortable for the patient. The unit passed all stringent weight and quality tests with flying colours and showed no sign of letting up, even when we lifted 750kg with it! As with all our AirRise units, the AirRise500 incorporates the Advanced Battery Protection system, which is proven to considerably reduce on-going maintenance costs.